Let your skin work all night long through with this exciting overnight mask from Clinique. 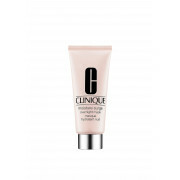 With a creamy formula that glides on effortlessly and penetrates the skin to replenish lost moisture revealing smooth hydrated skin when you wake. This is an oil free product that is suitable for all skin types.